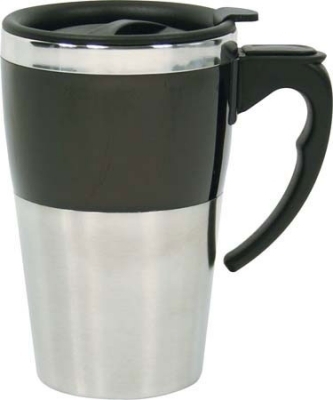 350ml S/S double walled mug with distinctive ABS colour trim. Boxed. Size:135 x 86mm. Brand Methods: Pad, Laser. Branding Size:100 x 40mm. 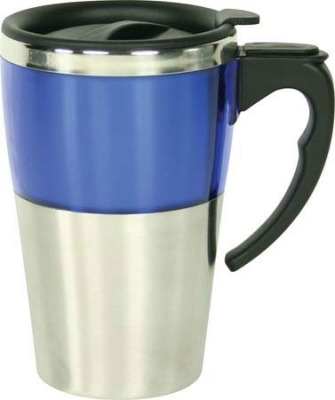 Available in a range of color(s) including Black, Blue, Red only.